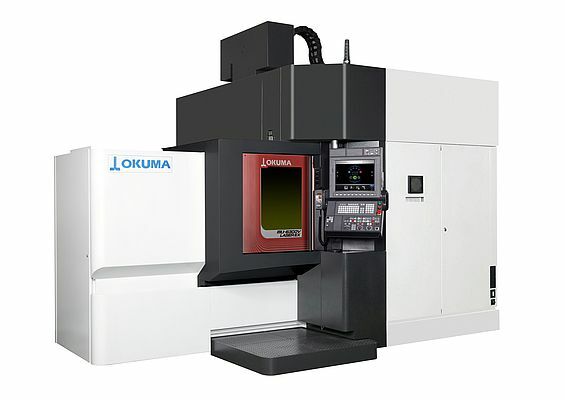 Okuma introduces its LASER EX series of super multitasking machines. Offering the best of both subtractive and additive manufacturing, the machine tools feature process-intensive turning, milling, grinding, laser precision hardening, hard coating, high-resolution Laser Metal Deposition (LMD), heat treatment and partial repairs – all done on a single machine. 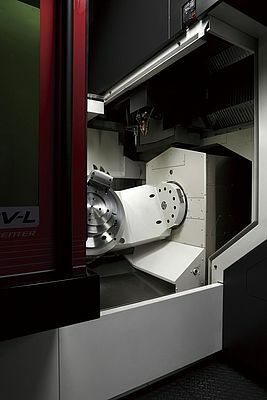 As one of the world’s first “done-on-one”-machines, the 5-axis vertical machining centre MU-6300V LASER EX is capable of stable laser processing, such as Laser Metal Deposition and heat treatment for workpieces up to 830 mm diameter. The reliable and powerful Trumpf TruDisk laser and optical system allows stepless spot diameter control anywhere between 0.4 and 8.5 mm. 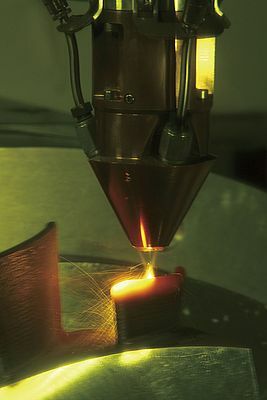 This enables both large-capacity and high definition additive manufacturing. The machine can use up to four different powders to create components through LMD or for coating purposes and is able to automatically switch powders mid-operation. Changing the nozzle is not necessary. Even complex parts like Inconel turbine blades with integrated cooling channels can be built via LMD. The parts can then be completed on the machine with finish milling to final size to achieve the desired surface quality. The machine tool’s multitasking features therefore include and combine operations that cannot be achieved with conventional machining. The machine’s capabilities further include process-intensive turning, milling, grinding as well as frictional parts removal, layering, re-machining and finishing. Therefore, mould repairs can easily be performed on a single machine tool combining conventional machining and LMD.